I want to open a true color RGB composition using bands 1, 2 and 3. For that, I import the Tiff files of the bands. When a create the RGB composition (raster, miscellaneous, virtual raster) the result does not look very nice. 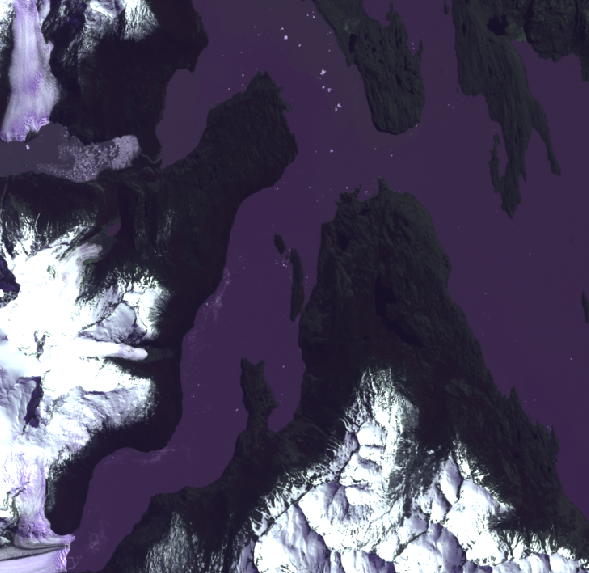 My issue is not that the image is dark (there is a lot of ice/snow) but that the true colors are not very accurate. 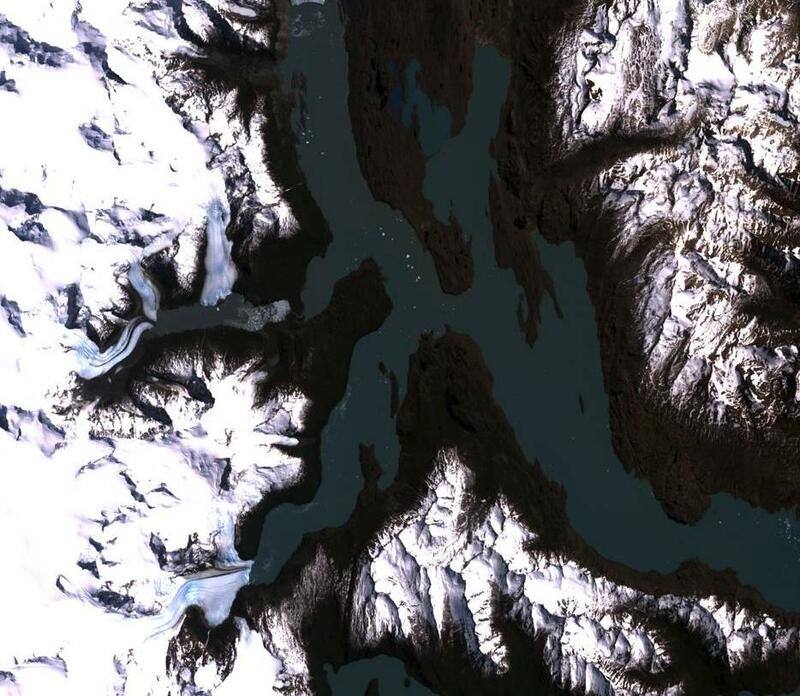 Water looks purple, glaciers have some purple areas, etc. Am I missing something to create a good looking true color RGB? The image LE07_L1TP_231095_20011014_20170202_01_T1_RGB.vrt looks as expected in QGIS. Not the answer you're looking for? 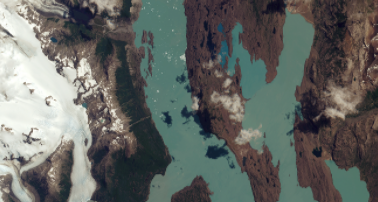 Browse other questions tagged qgis landsat rgb landsat-7 or ask your own question. Saving as TIFF in QGIS? 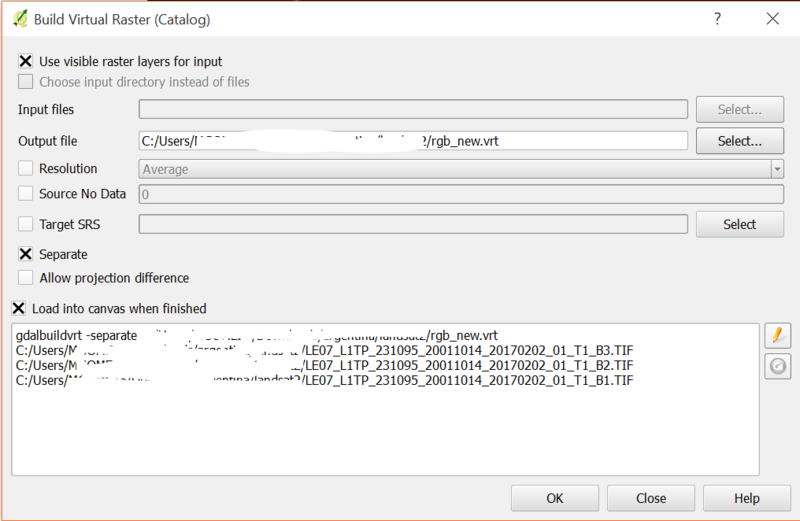 Loading Landsat 8 tiles into QGIS?